In 2017, she decided to spearhead fundraising efforts to provide resources and services for individuals with autism in Isabella County. Autism Advantage is an innovative practice devoted to working with adolescents and adults with autism, helping them to understand their unique personality styles and teaching those individuals how to use their gifts to overcome social challenges and associated anxiety and depression. Courtney, her parents, and her sister are graduates of Central Michigan University. 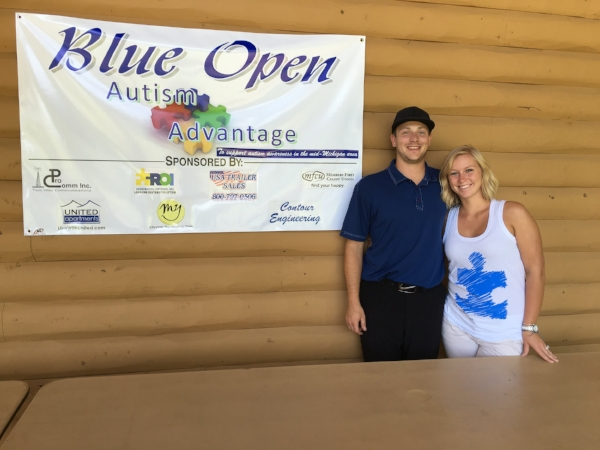 Her fiancé, Tyler Stegman, has strong ties to the central Michigan community. “The focus on this community is personal,” Courtney added. More than 3.5 million Americans live with an autism spectrum disorder. Courtney hopes to create more awareness and understanding about autism, as well as provide financial support to families who have to travel to receive services, or for whom services are not covered by health insurance. The Autism Advantage Fund was founded in 2017 as a field of interest fund to provide grants to charitable organizations for programs addressing the needs of adults and adolescents with autism in the Central Michigan area.